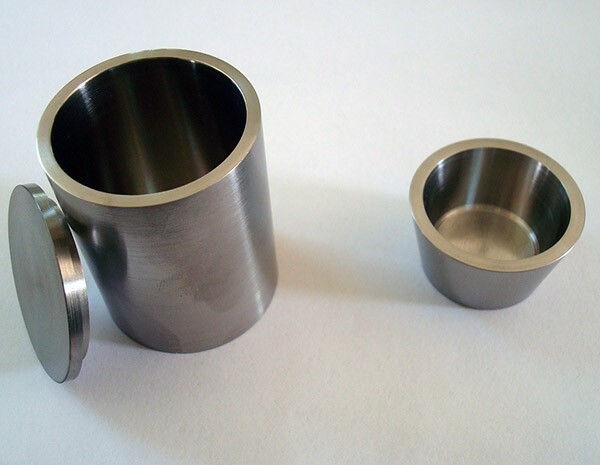 Niobium crucible can be either manufactured from solid niobium rod by fabrication, or formed from niobium sheet by using deep drawing, depending on specific size of OD and Wall customer needs. HEXON are able to supply standard crucible size or according to specific drawings from customers. Niobium’s superior performance of high temperature and corrosion resistance make it a suitable material used as crucible in industries such as metallurgical, chemical, ceramic and manufacturing of synthetic diamonds. HEXON use clean and even niobium sheets which have homogeneous structure and uniform grain size for deep drawn crucibles, using one or more dies by a punching process. 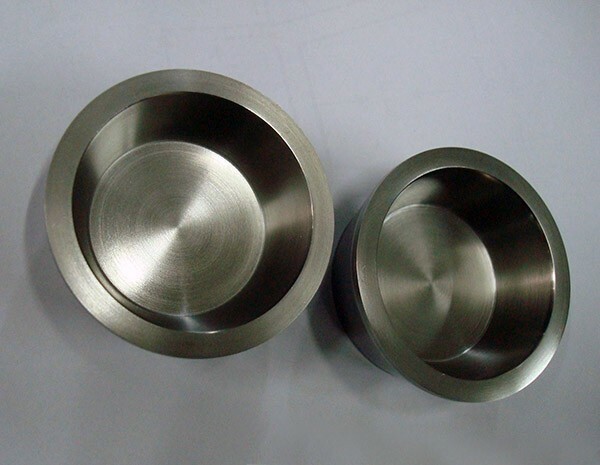 Both deep-drawn and fabricated crucibles have smooth finish because we understand surface roughness has a profound effect on the materials loaded in crucibles. 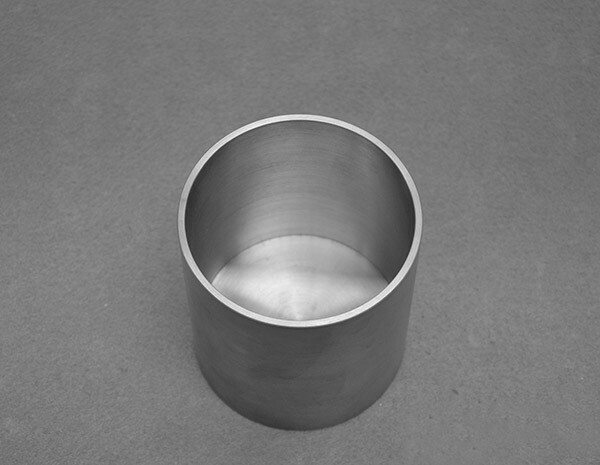 Our pure niobium crucible has a purity of 99.9% or 99.95% and alloyed crucible has 1% zirconium (Nb-Zr1). We are open to tailor your requirements in regard to any other purity and special alloys.